Operation Lift Hope was the benefactor along with the Broward Sheriff’s office on this football day with teams from current and past NFL players, first responders and Broward Sheriff’s office. Held on Feb. 2016, at the NSU facility in Davie, Florida, raising money for the homeless veterans in Broward County. 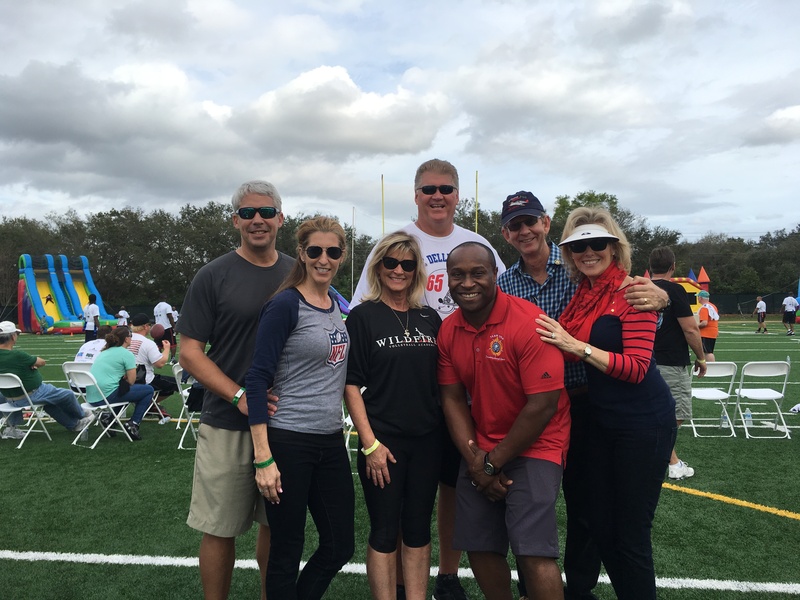 OLH supporting the annual Heroes Bowl sponsored by BSO and the Dellenbach Foundation with first responders, NFL Alumni and benefiting veterans. Pictured: Commander Jefferies, Dennis & Stephanie Hickey, Andy & Kathy Mitchell, and Jeff & Mary Dellenbach.